If you ever wanted to introduce yourself into the world of 3D modeling, then 3DTin is one of the best possible ways to do so. Just by visiting 3DTin website, you will instantly be greeted with the powerful 3D editor in which you can design and create anything your imagination can conjure. This excellent 3D modeling editor was built with the HTML5 code, which enables you to use it on any operating system and modern browser on the current market (Firefox, Google Chrome, Safari, IE9). With the power of WebGL your experience will be smooth and responsive, but even without it you will still have great time. Design models by placing cubes of different colors on top of each other. 3D modeling tool has become easier today with appearance of wide variety of editors that are focused not only on providing professionals with streamlined tools for advanced modeling, shading, animation, and physics processing, but also to give beginners easy way to get introduced to the world of 3D modeling. 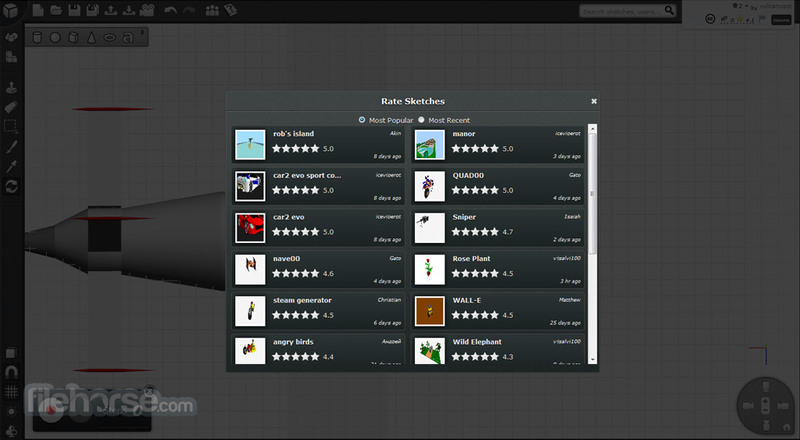 One of the best apps that anyone can use to make their first steps in 3D modeling is 3DTin, one of the first ever made browser-based editors that was focused on simple interface, intuitive controls and easy way of managing your saved files. Created in Mumbai, India during March 2010, 3DTin managed very quickly to attract more than 100,000 users and is responsible for creation of one of the largest repositories of Creative Commons 3D models in the world. Anyone who today accesses this app will be welcomed with highly streamlined tools that were created not only by its original developers, but also by new owners from Lagoa, popular cloud-based 3D rendering service. 3DTin is relatively recent web application created to enable anyone instant access to the 3D modeling tools that can be used for creation of great looking 3D content that can be either saved for later use on the web (static or animated content is supported), or even exporting data to your local storage where you can use everything you can use those models however you like. Over 100 thousand users who have joined the ranks of 3DTin community have over the past few years managed to create one of the largest repositories of Creative Commons 3D models, and no matter if you are total novice or seasoned veterans, you can join them. 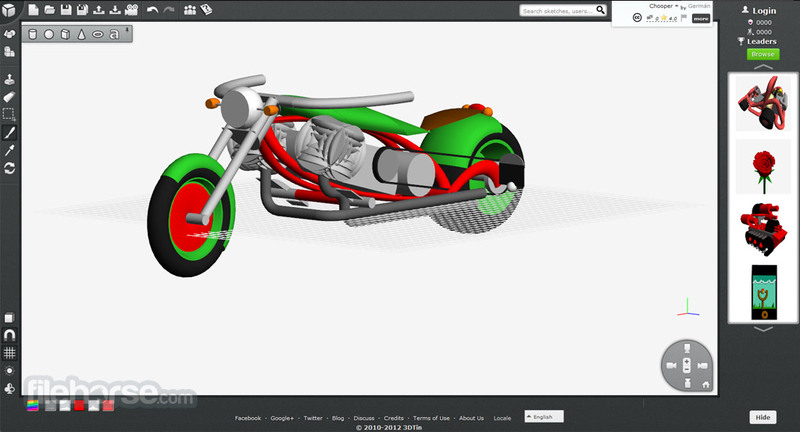 After just 4 years on the market, 3DTin managed to expand its functionality, streamlining its editor and enabling users free access to everything they need to create both engaging 3D models and 3D animations. Entire website of 3DTin is dedicated just to its 3D editor that has every single tool for creation of 3D models that you need. There is no landing page, there is nothing to keep you away from immediate modeling if new models and easy management of your previous projects. All tools are available for free, although features such as full-screen rendering, saving and exporting of files are available only for users who are registered. 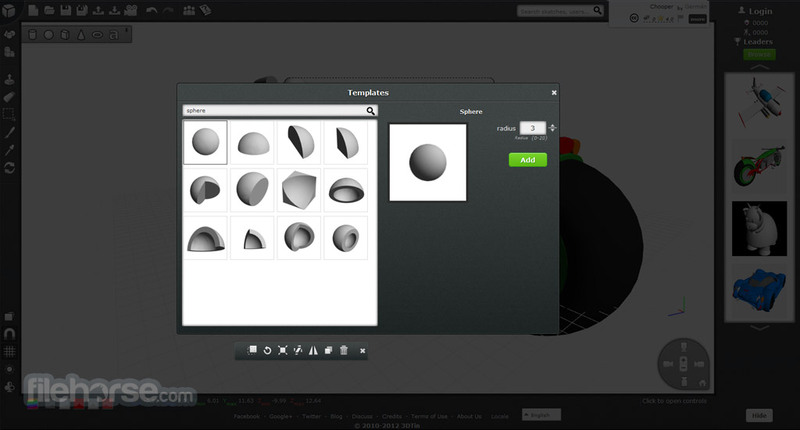 Amazing 3D modelling tool! 3DTin does not have traditional main page. 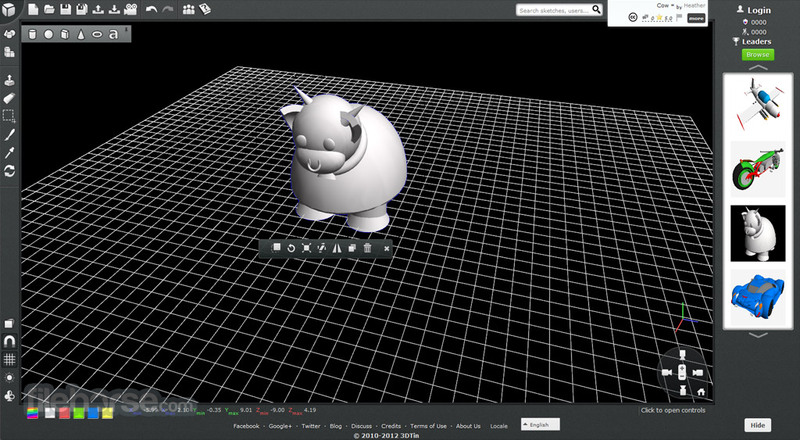 Immediately upon landing on 3DTin.com you will enter 3D editor online that can be used even without registration (saving and export requires free registration). Large work area is surrounded with array of tools on top, left side and bottom, including also 3D camera tool that are integrate into bottom-right of the work area. Users can use simple tools to manipulate new objects, use mouse to control camera orientation, zoom levels and much more. Left side of the app features showcase of the catalogued 3DTin models as well as very small advertisements that promotes only toys and figures from Amazon.com. 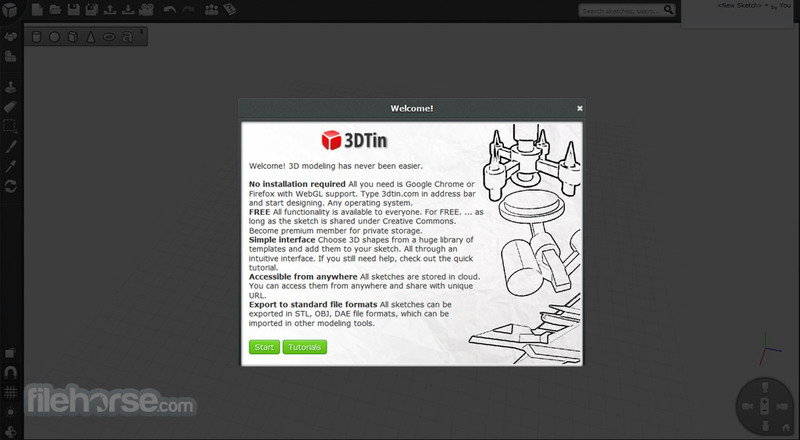 3DTin can be used for free. Free registration is required for accessing saving and exporting tools. As of today in early 2014, 3DTin represents one of the best tools for beginners, high school and university students who want to get acquainted with basic and medium-tier techniques for 3D modeling tool, setting up lightning, and creating simple animations.